Keeping up with the Joneses…it’s a tough job. 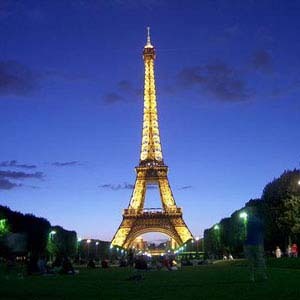 Since France is the most visited country in the world, the Joneses have most assuredly been there, and so should you! And to make it easy, Monograms has taken care of the logistics and hassles for you! On this 6-day vacation to Paris & Nice, we’ve arranged centrally located hotels, daily breakfast, guided sightseeing, transportation, and connection between the two cities. And in both cities, you’ll have the services of a Local Host®, an insider who knows the language (always a plus in France!) and who can answer questions, help you decide what to do, and help your vacation run smoothly. Your vacation begins the moment you arrive, as we can whisk you from baggage claim to your hotel. There, your Local Host will greet you with materials to familiarize you with the city. The next morning, after an included breakfast, your sightseeing with a local expert includes iconic Notre Dame Cathedral, where Napoleon was crowned emperor in 1804, and a Seine cruise, one of Europe’s great historic rivers and considered the river of Paris. You won’t just see these sights, though; you’ll have VIP access! In Nice, your sightseeing includes a walk through the Old Town as well as the chance to hear insider stories. And that’s not all-we’ve investigated the best places to take photos of Arc de Triomphe in Paris and Nice’s famous Promenade des Anglais, so be sure to ask your Local Host. You’ll also have free time in both cities to explore. In Paris, perhaps enjoy dinner at the Eiffel Tower; stroll through the Montmartre district, where artists such as Picasso and Van Gogh worked; shop at the fashionable Parisian stores; or relax at a café and enjoy people watching. In Nice, visit one of the many museums, drive on the circuit of the famous Formula 1 “Grand Prix” race in Monaco, take an excursion to Saint Tropez and stroll through its fashionable boutiques, or just sit back and enjoy a thermal bath or the glorious beach. The time you save by letting Monograms take care of the logistics and hassles allows you more time to just sit back and enjoy your dream vacation! Whatever you desire in a vacation, these two cities are sure to fulfill your wish! And Monograms makes it easy for you!